Our Pet Pick, Papz Jr., is a little Casanova. 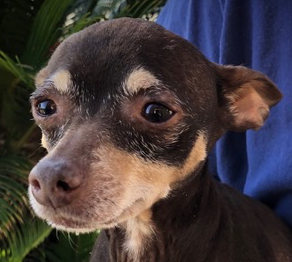 He’s a 5-year-young Chihuahua that loves to give kisses. He came to the Nevada SPCA after having some much needed dental work done and he is ready to find his forever home. He gets along great with his kennel mates and is friendly to people of all ages. As always, please bring any other dogs or mature kids with on your meet and greet with Papz Jr.